Anterior cruciate ligament (ACL) injuries in children and teens are less common than in adults. But they do occur, especially in teens. An injury that hasn’t been treated (or one in which the treatment didn’t work) can lead to future knee problems. The knee may become more and more unstable. Over time, osteoarthritis may develop. A child with an ACL injury can sometimes be treated without surgery to avoid damage to the child’s still-developing bones. Your child can try rehab exercises, wearing a brace, and avoiding activities that require jumping or twisting. Studies suggest that the more active a child is, the less likely these treatments will work and the more likely surgery will be needed in the future. The knee can’t be made stable with other methods. Rest after surgery and a proper rehab program are very important. Call (+65) 6471 2674 (24 Hour) for an appointment with our orthopaedic surgeon regarding the ACL injuries today. The anterior cruciate ligament (ACL) is one of the four ligaments of the knee and it holds the knee together from the front. An ACL injury commonly happens in sports where there are a lot of direction changes and possible impacts. Football, basketball, and other fast moving games that require quick changes often result in ACL sprains. The most common mechanism for this injury is when the knee rotates while the foot is planted. Sharp pain at the time of the injury, accompanied by swelling in the knee joint, may be a sign of an ACL tear. This can range from minor tearing of a few fibres to a complete tear. The ACL can also be torn as the result of a hard blow to the knee; usually other ligaments and the meniscus are involved as well. Forceful twisting of the knee when the foot is planted. Occasionally a forceful blow to the knee, especially if the foot is fixed as well. Pain immediately after injury that may go away later. Swelling in the knee joint. Instability in the knee, especially with the tibia. If left unattended this injury may not heal properly. The instability in the joint could result in injury of other ligaments. Chronic pain and instability could lead to future limitations. ACL sprains that involve a complete tear usually require surgery, ACL Reconstruction using Arthroscopy method, to reattach the ligament. Minor sprains can often be healed completely without surgery. Once stability and strength return and pain subsides, activities such as stationary cycling can be gradually introduced. Range of motion and strengthening exercises are an important part of rehabilitation. Swimming and other exercises that are non-weight bearing may be used until the strength returns to normal. Strengthening the muscles of the quadriceps, hamstrings, and calves will help to protect the ACL. Proper conditioning before beginning high impact activities will also provide protection. Call Now (+65) 6471 2674 (24 Hours) to see our knee specialist today regarding your ACL injury. The incidence of sports-related injuries has been increasing steadily over the recent years. It is estimated that doctors in the Unites States treat 3.5 million sports injuries in a year and in Singapore, over 16,000 sports injuries occur every year. Sports injuries impact the sufferer on two fronts. In terms of sporting activity, the individual is unable to participate during the recovery phase. After recovery, the individual may not be able to return to sport at pre-injury level due to residual impairment of function. With respect to life outside of sport, time may have to be taken off work or school, depending on the severity of the injury. Difficulties may also be experienced in the performance of certain aspects of an individual’s job. Sports injuries can be divided into acute sports injuries and overuse sports injuries. Acute sports injuries are associated, most commonly, with contact sports (eg. football or basketball) or sports involving sudden twisting or change in direction (racket sports). The onset of symptoms is sudden and treatment often involved surgery. Overuse sports injuries occur with sports of repetition (eg. running) where the same action is repeated many times over. The onset of symptoms is gradual and treatment usually involves physiotherapy and rehabilitation. In this article, we will focus on acute sports injuries of the knee. The primary function of ligaments is to keep movement of the knee within the desired plane and within normal limits. Disruption of any of the knee ligaments allows abnormal knee movement. This, in turn, causes damage to other structures within the knee. The usual targets of this secondary damage are cartilage and the menisci. There are four main knee ligaments and the most commonly damaged ligament is the anterior cruciate ligament (ACL). Sports injuries involving the ACL are most often sustained with a twisting or hyperextension injury. With an ACL tear, immediate joint swelling is seen from bleeding within the knee. There will, of course, be pain. Some patients may experience a locked knee. In this condition, a fragment of the torn ligament gets trapped in the joint and the joint cannot be fully extended because of the mechanical obstruction. At the time of injury, the meniscus may also be damaged. Immediate treatment with RICE (rest, ice, compression and elevation) therapy is instituted and crutches can be used if necessary. With symptoms of immediate joint swelling and pain after an injury, an early consultation with a doctor is prudent to ensure that there isn’t a fracture. Early rehabilitation is started to allow weight-bearing and regain range of motion of the knee. Further rehabilitation involves the strengthening and coordination / balance training. The most common complaint of a patient with an ACL tear is an unstable knee, which buckles with rapid change in the direction of walking or running. This prevents an individual from returning to sports and risks further damage to the knee. Because of its position within the knee joint, ACL tears do not have the ability to heal. Once the ACL is torn, the torn ends remain separate and do not heal, even if stitched together. The objective of the surgery for an ACL tear is not to repair the damage but to replace the ACL. This is referred to as reconstruction of the ACL. Reconstruction of the ACL is performed using the patient’s own tissue to replace the torn ligament. The most common tissue used are the patella tendon (tendon connecting the kneecap to the shin bone) and hamstring tendons (tendons behind the knee). The current standard of treatment of an ACL reconstruction is with arthroscopic (keyhole) surgery. The benefits of reconstructing a torn ACL are reducing the chances of abnormal twisting of the knee and reducing the risk of secondary damage to the menisci and joint cartilage, thus reducing the likelihood of knee arthritis. This procedure also allows the patient to return to sports requiring twisting. It is important to seek medical attention at the early stages of the injury to reduce the change of secondary damage. 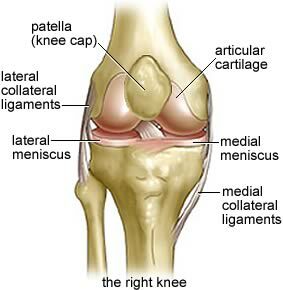 A meniscus is a piece of specialist cartilage shaped like the letter “C”. There are two menisci in each knee. They serve to absorb shock transmitted through the knee and to protect more fragile cartilage covering the surfaces of the knee joint. A meniscus can be torn with a twisting or impact injury. There is associated knee swelling, which may be of a more gradual nature than in an ACL tear, together with pain. There may also be locking of the knee. 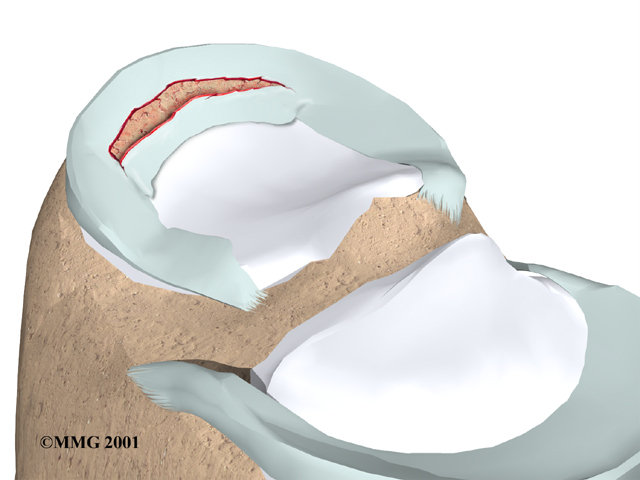 Surgery for a meniscus tear is performed arthroscopically (keyhole surgery). During the procedure, the meniscus is either repaired or debrided (torn fragments removed and remaining meniscus smoothed down). The decision whether to repair or debride is made based on the location, size and configuration of the tear. The aim of the meniscal surgery is to obtain a stable meniscus, which will not displace into the joint to cause locking. To restore the normal configuration or smoothen out the damaged surfaces also reduces the risk of further damage and consequent arthritis. Although the occurrence of acute sports injury of the knee is increasing, treatment outcomes are good and many patients do return to playing their chose sport. It is important to seek medical attention at the early stages of the injury to reduce the chance of secondary damage. With early treatment and arthroscopic (minimally-invasive, keyhole) surgery, when needed, the down-time from sports and daily activities can be minimised. Neglect a locked knee. This requires urgent attention to “unlock” it. Walking on a locked knee will result in irreversible cartilage damage of the knee. Ignore an unstable knee. Frequent twisting of an unstable knee may cause meniscal or cartilage injuries. Call +65 64712674 for an appointment to see Dr. Kevin Yip today for your knee or sports injuries.